Please Note: Course information and maps to come. The course may be altered at any time due to snow conditions. Any course changes will be communicated during the race briefing. Competitors must be over 16 years of age. Any competitor under 18 years must have written parental or guardian consent. Parents or guardians will be contacted to confirm their consent. Attendance at the safety briefing is a condition of entry. Any competitor missing the safety briefing will not be permitted to compete. Please bring sufficient clothing and water. All competitors will be required to sign an event waiver at registration. The awesome team at Small Planet are offering 50% discount off equipment hire, so if you’ve skied before and are interested in giving ski touring a go this is a great opportunity! 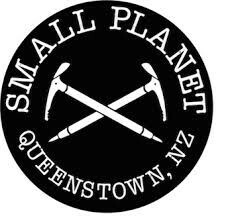 Head along to Small Planet, 15-17 Shotover Street, Queenstown between 9am and 9pm on Saturday 22 June to get fitted.